Dynatrace offers an out-of-the-box Slack integration that automatically pushes Dynatrace problem notifications to your Slack channels. With our Slack problem-notification integration you&apos;ll be able to update Slack channels with Dynatrace problem details so that your teams are always aware of potential risks within your applications, services, and infrastructure. Slack is a cloud-based team collaboration tool for real-time messaging, archiving and search for modern teams. The name is an acronym meaning "Searchable Log of All Conversation and Knowledge". With Dynatrace’s Slack integration you can be notified about incidents when they occur. 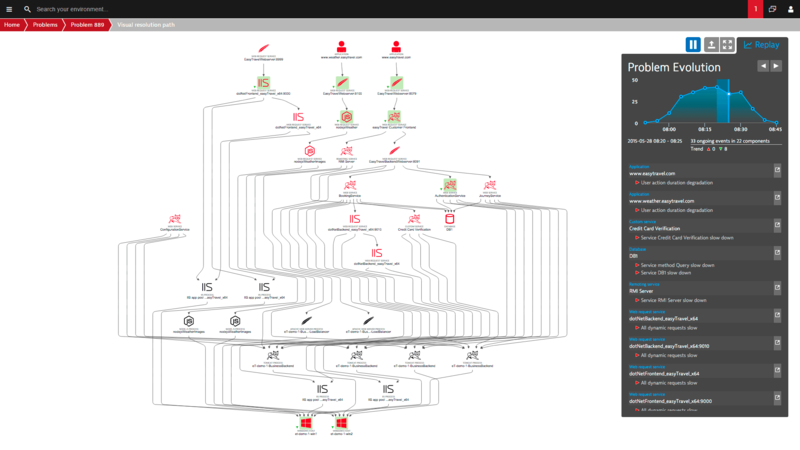 From the Slack incident you can drill down to Dynatrace to see the line of code affected and quickly isolate the root cause.